Petals provides specialist counselling for parents who have suffered trauma or loss during pregnancy and birth. SSNAP, located in the John Radcliffe Hospital , is the charity dedicated to supporting the families of sick and premature babies. So to raise money for these amazing charities Claire Oxenbury is holding a barn dance at OXSRAD with the fantastic Pip Oxenbury and the Barnfield Barn Dancers. 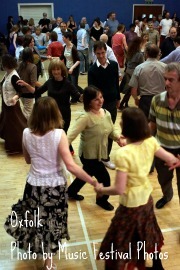 It will be an evening of dancing, fun and uplifting folk music! BBQ food will be available to purchase on the night and there will be a bar. Advanced Purchase Ticket Price is £9.00. Children under 12 are free.